Katharine Eagan Kelleman speaks at the Allegheny County Courthouse on Wednesday, Nov. 8, 2017. 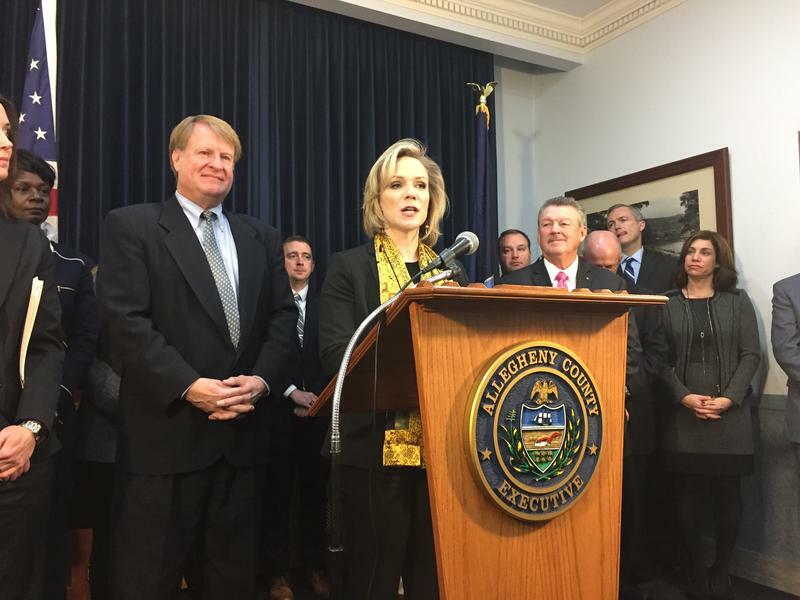 After a seven month long search, the Port Authority of Allegheny County has hired Katharine Eagan Kelleman as its new CEO. Kelleman is filling the shoes of David Donohoe, who was hired as interim CEO in April after Ellen McLean left the position. For the past three years, Kelleman served as CEO of the Hillsborough Area Regional Transit Authority, based in Tampa, Fla. While there, she said she helped bring the authority from a $5 million deficit to a $3 million surplus. She also has experience working with autonomous vehicles -- in Tampa, she worked with an autonomous vehicle company to launch a self-driving shuttle. At a press event Wednesday, Kelleman stressed the importance of fostering a transparent relationship between the Port Authority and the public. "We can sift through all the data in the world, but there has to be this iterative process of [learning] what the community wants," she said. Kelleman said she will never let herself be described as inaccessible. "This job is impossible without finding out out what our various constituency groups want to see," she said. "And not just folks using it, but these really important community voices that will do the support in the long hall, and make sure its not the Port Authority in a vacuum." Kelleman will start her role in January. Pamela Edwards leaves her house in Brushton every morning at 6:40 a.m. to catch her first bus. 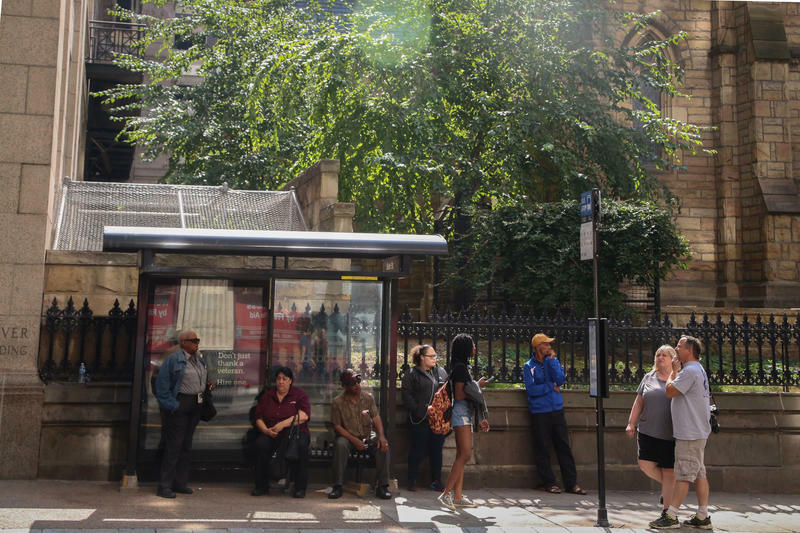 While she waited for her second bus in East Liberty on a recent morning, she remembered a time when there were five different buses to catch in and out of the East End, whenever she needed them. Extending the Martin Luther King, Jr. East Busway beyond Swissvale could cost between $549 and $704 million in 2026 dollars, according to a feasibility study released to WESA by the Port Authority of Allegheny County. *UPDATED Nov. 3, 2017 at 5:44 p.m.
Pennsylvania’s largest hospital system has announced a $2 billion project to build three “digital hospitals of the future” in Pittsburgh, in partnership with Microsoft. 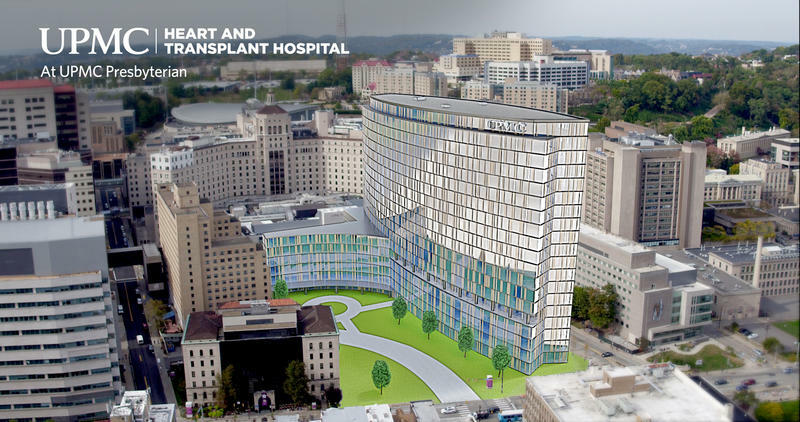 The new UPMC facilities will focus on cancer, vision and rehabilitation, and the heart and transplants.